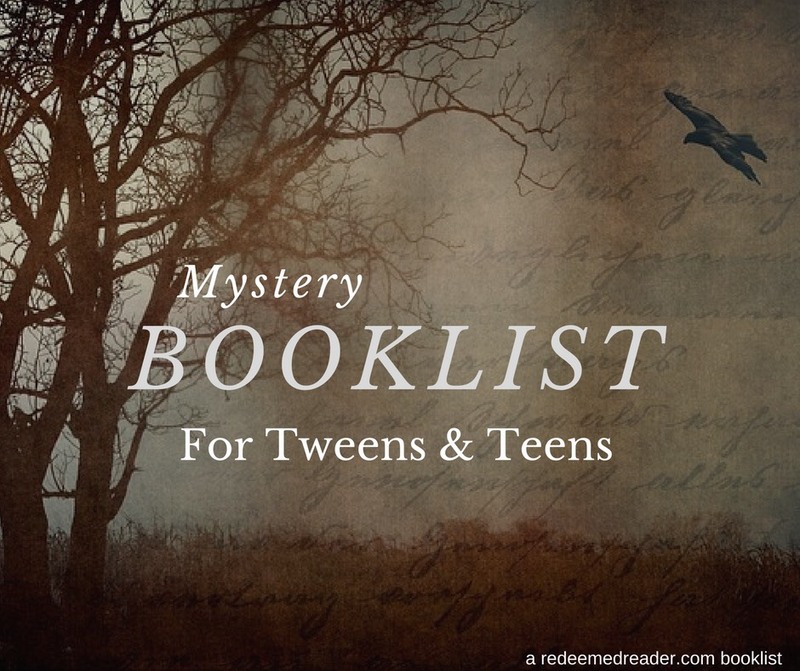 Mystery book list for all ages! Whether or not you’re planning to see Murder on the Orient Express this month, you likely have a mystery fan in the house. What can they read when they’ve exhausted the library’s stash of Boxcar Children, Trixie Belden, Nancy Drew, and Hardy Boys? We’re putting these lists in one post because, honestly, “reading level” lines get very fuzzy with mysteries. Age ranges are only a suggestion. Voracious readers will likely read up; slower readers may want to ponder an easier title as they figure out clues. Per usual, titles are linked to RR reviews where applicable; see below for a printable list. As always, we recommend reading reviews to determine appropriateness for your family! The Elementary list targets elementary school-aged kids (~ages 6-10) who read independently, but aren’t quite ready for more complex fare. Most strong readers will age up easily into the Tween list, but do read reviews first if your child is on the younger side. Nick and Tesla’s High-Voltage Danger Lab (series) by Bob Plugfelder and Steve Hocksmith. The “Tween” list is geared to middle school kids (~ 10-14 age range) who enjoy the usual middle grades fare and have a wide range of interests (even if they’re older/younger). These titles are a bit more complex than those on the elementary list. The “Teen” list is geared to kids ages 12 and up–and their parents!–who are fully hooked on the “mystery” genre, appreciate a certain level of sophistication in their reading, and won’t be bothered by occasional language or innuendo; many of the books on the teen list are actually adult novels, so look for them in your library’s adult mystery stacks rather than in the Teen or YA stacks. *note: Some of the series listed below have the first-in-the-series identified. None of them “must” be read in order for the individual mysteries, but these authors do a great job of developing their characters as the series progress. You might consider reading in order! The Red House by A. A. Milne (Adult); yes–the same author as Winnie-the-Pooh! Printable List — Click Here! OK, Mystery Lovers, which of your favorites did we miss? We love adding to our lists! Or, you can tell us which of these are already on your personal favorites list. Let us know in the comments! What do the asterisks denote in the tween list? They don’t seem to be series starters, as in the teen section. Great question, Debbie! They simply refer to “starred reviews”–books (or series) that we think are the best of the best in their genre. (Your comment alerted me to the fact that I forgot to link two of those to our existing reviews–that may have helped!). We really love the series by Alan Bradley . I believe the first one is The Sweetness at the Bottom of the Pie. They have a 11 year old sleuth named Flavia as the main character, but are considered adult books. Very, very clever!! I “second” Julie’s nomination of Alan Bradley’s Flavia de Luce novels. They’re some of the best-written fiction I’ve ever read, and definitely “clean” reads! Ooh, a little late to the game but I was looking for age-appropriate spooky books for my sister’s classroom, and these are perfect! I would also suggest “My Favorite Thing is Monsters,” which is a graphic novel featuring a 10-year old protagonist. Thanks, Holly! We loooove recommendations! My advanced 5.5 year old is reading If the Magic Fits by Susan Maupin Schmid and really likes it. I’ve also been reading it to ensure it is appropriate since she is so young and also love it! It is much deeper and more exciting than we initially hoped for, plus there are two more in the series she can continue with. Thanks! Thank you for commenting! We would just add a timely warning that even if we like the first book in a series, we can’t guarantee that subsequent volumes will come with no cautions. Here’s hoping that this one will prove true all the way through!